Card personalization is our core strength! Card personalization is OnTime’s core strength! Let our veteran team guide you through the personalization process. 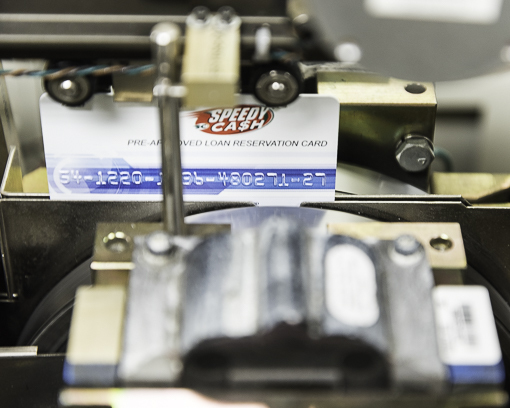 Whether its DoD imaging, thermal print or embossing, we will assist you with the right fit for your membership card program. Our internal quality control methods handle the most stringent regulations for HIPAA compliance and data security offering you peace of mind throughout the process. We are eager to help you manage all of the intricacies and decisions needed to ensure the smooth production and delivery of the simplest to most complicated of membership card programs. From what type of card to select, how many characters can be embossed, which fonts and styles are recommended to a myriad of other details– let our fifty years of combined experience work for you. 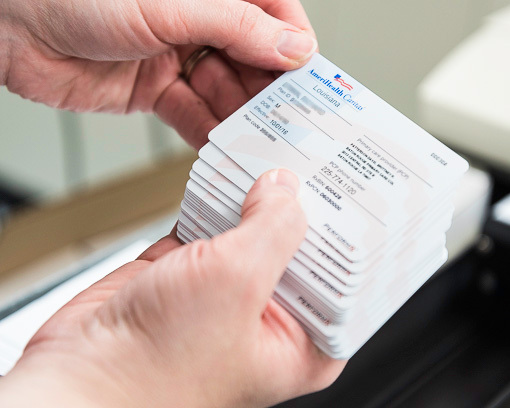 OnTime Card Solutions provides direct mail fulfillment and plastic card personalization services all under one roof for the healthcare, automotive, retail, education and non-profit markets. Partner with us today!